I was really planning on continuing the cockpit Today however my reference shows various different instrument panel layouts so I've asked my source to confirm what the historically correct layout would be. 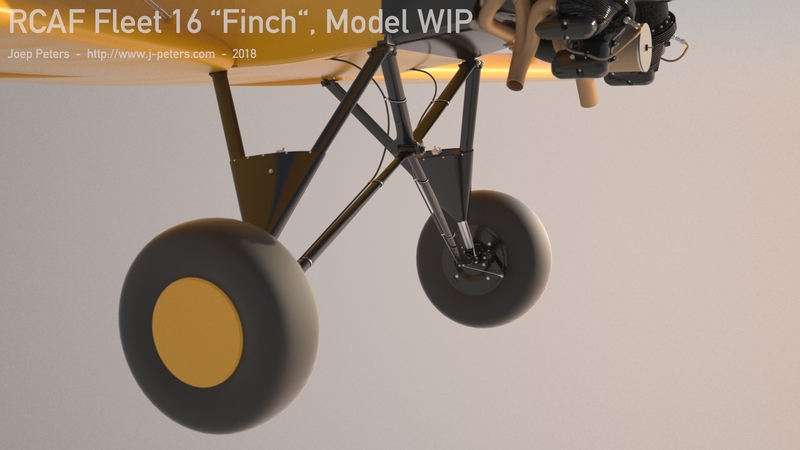 In the meantime I've added various details on the main wing like brackets to lift the plane to mount ski's, the fuel cap and the grounding point for when refuelling. After that I finished up the tail section with the exception of the wheel which I still need to do, so that is pretty much done now as well. The master plan this weekend was to finish the instrument panels as my source was able to provide me with templates of the factory plans. But of course when I got the instrument panels modelled to spec it turned out the top of my fuselage was a bit too flat. Oh well, next weekend perhaps! Compare the last image to this old one to see the difference. Last edited by Cobra6; 10-12-2017 at 03:38 PM..
Do you model smaller elements like screws heads or use normal maps? It's been a while since the last update because of the holiday season and moving country but the last two days I was able to pick this one up again. With the influx of new reference photos I was able to finish up both instrument panels. The only thing missing is a Watch Holder on the front panel but I've got no reference photos for that. I've also finished up pretty much all other instruments in the cockpit and did a corrective pass on the elevator which was too fat. 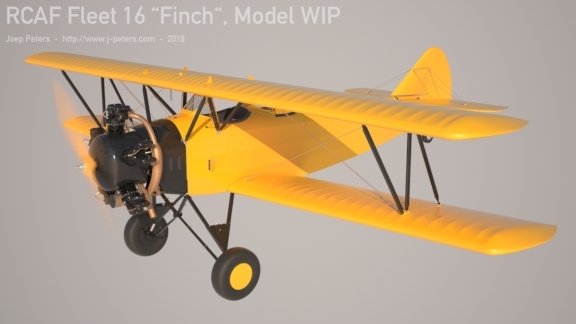 Another thing that I will model is the fully enclosed canopy which was the standard configuration of the RCAF at the time which is a bit of a conversion kit so to say. Finished the stowage bin cover directly behind the rear cockpit and started working on the front landing gear. Slightly slower week as I did not have as much time available. Main landing gear pretty much complete, the wheel hub itself and the tire are hard to find proper ref on but the tire itself looks plain and smooth in the old photos I have which is kind of odd. Also I did start on the tail wheel but that is not in a state to show yet. Hello there sir! amazing progress. Wish I can make time for my Aliens project super crunch at work . Anyways all the best for final result!! Eventually my client will use this model for animation purposes and I will personally use it for stills. I'm still working on finishing the model itself, the last couple of weeks have been quite busy with other things and I'm really struggling with the winter canopy (enclosed hood) because I've got very little accurate photographic evidence, no measurements of anything and there are a lot of custom "hack" jobs around as well.